The Joyce Theater Foundation, based in New York City, in 1982, under the direction of founders Cora Cahan and Eliot Feld, was created as a non-profit organization to proudly serve the dance community and its audiences. Similarly to the Atlas Performing Arts Center, The Joyce was also a former movie theater, converted into a beautifully maintained dance venue in Chelsea. The Joyce has a robust education program and is committed to the creation of new works through its commissioning fund. 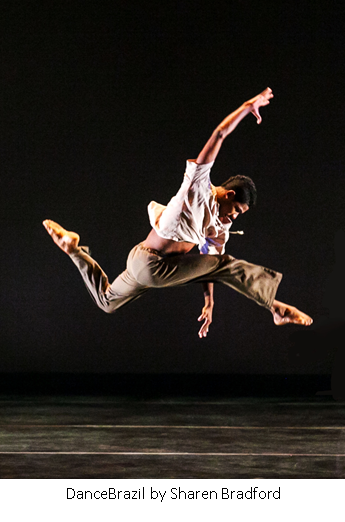 Click here to see a complete list of The Joyce Theater Foundation's funders. 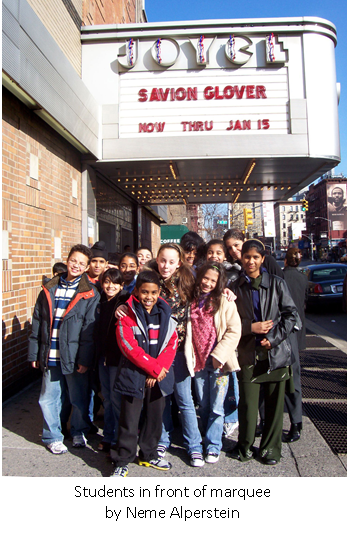 The mission of The Joyce Theater Foundation is to serve and support the art of dance and choreography, promote the richness and variety of the art form in its fullest expression, and enhance the public interest in, and appreciation of, dance and the allied arts of music, design, and theater. Diverse. 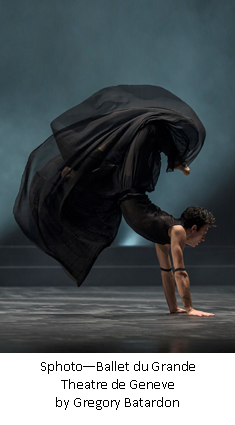 The Joyce presents dance in all its forms by artists at all stages of their careers. Global. The Joyce presents companies from all over the world from New York City to New Zealand. Inspiring. The Joyce provides dancers and audiences’ access from the creative process to the live performance. Who are some of the dance artists The Joyce will be working with this year, and what about their work inspires you and your staff? The Joyce Theater presents dance for 48 weeks out of the year, so there is always something to look forward to seeing on the stage! A few upcoming highlights include a festival of Brazilian dance comprised of four different companies over three weeks; Ballet du Grand Théâtre de Genève; the 30th anniversary season of current Artist-In-Residence Stephen Petronio and his company, which will present two new works as well as a revival of Strange Attractors (Part 1) from 1999; the U.S. debut of the Cuban troupe MalPaso Dance Company, which will include the premiere of a new work by Ronald K. Brown commissioned by The Joyce; and the New York premiere of Ballet Preljocaj’s Snow White at the David H. Koch Theater, presented by The Joyce Theater. How important is educational programming at The Joyce? Engaging a diverse audience has been essential to The Joyce’s programming since it opened its doors. School aged children, families, and adults alike find rich opportunities to engage and learn. New York City metropolitan area students in K-12 public and private schools partner with The Joyce though its Dance Education Program. As part of the program, dance companies present a Performance for Study on The Joyce stage to enlighten and inspire students co-led by dance TAs and classroom teachers. These help develop student’s skills of creativity, imagination, and problem solving. Throughout the year a Family Matinee series encourages families to “Meet the Artist” and provide backstage tours for Joyce Juniors. Adults seeking an in depth exploration into the art of dance can attend the Dance Talks series in person or online, read Dance Talks Notes written by dance scholars and historians, and attend post-performance Dance Chats which let audiences hear from and ask questions of dance artists. For the 2013-2014 Season, Dance/USA’s Engaging Dance Audiences program supported The Joyce’s Getting Closer to Dance (GCD) initiative. GCD invites audiences to a series of events designed to encourage meaning making, and throughout the year partnerships with community-based organizations and educational institutions which has extended the Theater’s reach. What does it take to be a successful presenter in this day and age? In order to be a successful presenter you need to have a passion for the work. You need to be both driven and flexible even though these attributes, at times, are at odds with each other. A successful presenter finds work that is relevant to both the artists and the audiences, while maintaining a good relationship with the companies and funders. You also need staff and Board members who believe in the mission of the organization and who want to serve the art form and the dance community.